At the end 0f 2017, it’s worth a look back and see where my hobby has taken me. It’s been a year of exhibitions. I’ve visited more model railway shows than in recent years. Most have been very good, and I have usually come away inspired to start modelling again. I’ve also been on the road with ESNG more than previous years. We can never be exhibiting every couple of weeks, like some individuals and clubs, but it’s been good to do a couple more exhibitions. Our own ESNG show went off well, and it was good fun exhibiting at the Bluebell Railway, the West Sussex show, and at Stuttgart. I think I finally decided this year that, having been a collector for a number of years, it was time to get back to making models. I realised that this is my real interest in the hobby. As I have worked (and earned) more than expected this year, I have taken the opportunity to stock up with some etched kits and ready-to-run bargains as the basis of future projects. I’ll report on progress with them on the blog in due course. As for modelling, not much got done early in the year, as I was travelling too much. 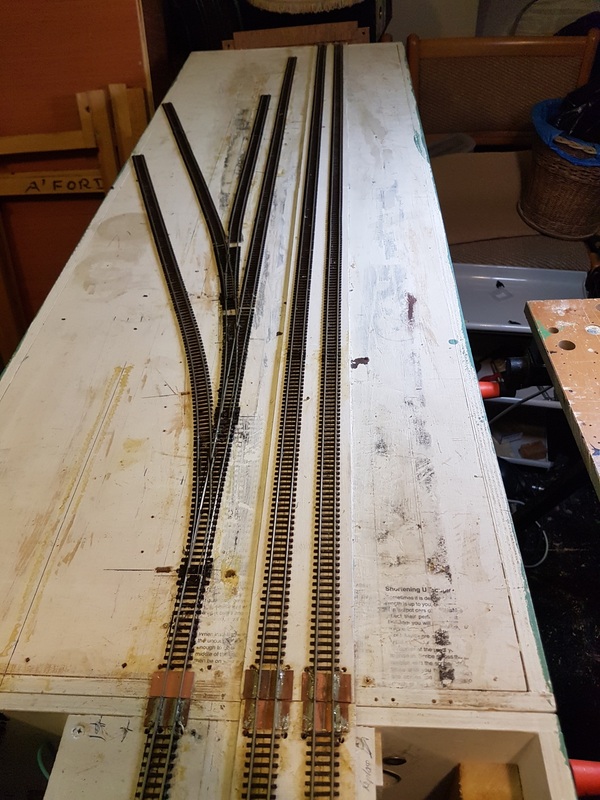 But in the last few months, I have completed some repairs to Aldersford, built a new N-club module, and progressed my American switching modules. And projects on the workbench are under way. It’s surprising how much progress one can make if one takes an hour or two here or there for modelling, rather than write reams of rubbish for my readers. Outside of the railway world, there’s been two big events. I’ve almost retired, and have (deliberately) lost 3 stone and 4 inches (circumferentially not vertically). The challenge will be to keep both work and weight away in 2018. 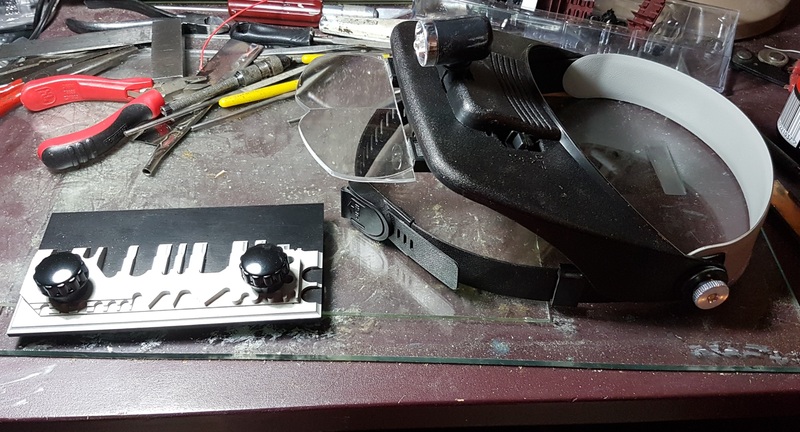 And finally, here are the most useful purchases of the year, as I start to try to solder small bits of metal together – an etch folder, and a set of watchmakers magnifiers. I’ve had them for some time, but they are now getting some use. (Not as bad as my multimeter – made in 1973 as my first university engineering project – used in 2013 or so for the first time to test the layout!) They are pictured here on my tidy workbench…. 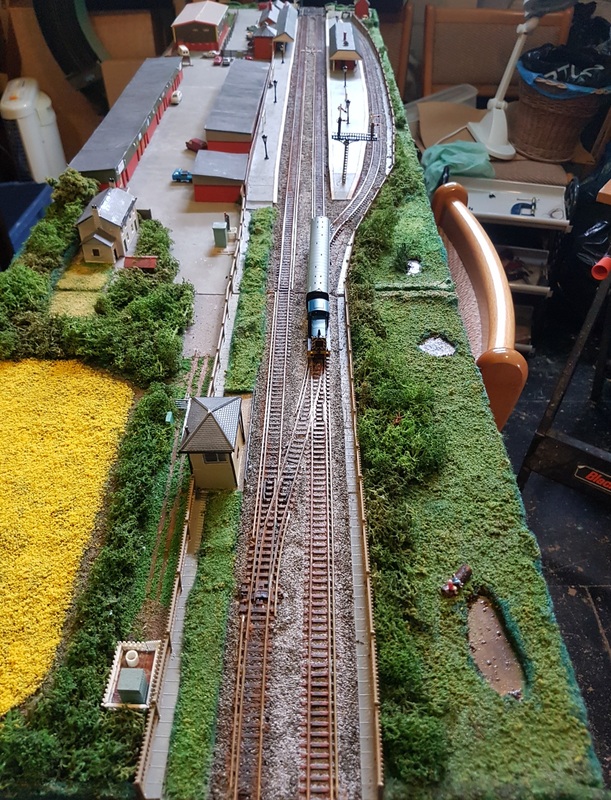 This entry was posted in ESNG, Exhibitions, Jon's layout ramblings, Weird and wonderful and tagged ESNG, exhibition, model railway. Bookmark the permalink.